not quite the 5D Mk3 I was aiming for, but I briefly managed to get some hands on time with the latest Canon 60D. Generally it had a trove of drool inducing features and settings to explore, of which there was no way I would have had enough time to cover them all in the 2 day time frame that I had with it. So it generally made more sense just to stick to the settings I'd used thus far on other changeable lens cameras. I didn't actually read up on it before hand either. I knew that it was going to be a lot slower than the AF speedster Canon 7D, but I didn't think it was going to be slower than the sony NEx-F3 (which it was). This was regardless of whether I was shooting in auto or P mode. 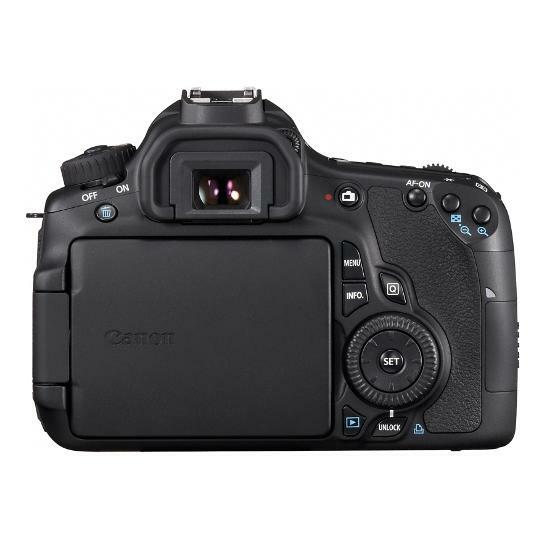 The 60D also includes a whole slew of options that allow you to tweak image parameters even before you've taken pictures, the likes of which you'd normally only get in expensive high end post image capture processing software like Adobe photoshop when first loading up a RAW image file for editing. Meaning that even if you don't have photoshop you could potentially get even more greatly highly polished image potential with the appropriate menu slider setting on the camera from within the Canon 60D's menu's. No doubt this would be especially useful for times when you might be shooting exclusively in JPG to save you some RAW to JPG tweaking later. I don't really use this type of gear for shooting video as of yet but, it has a pop out articulating LCD screen which is idea for shooting video. Shooting full 1080p/i video with canon D-SLR gear? What more could be said about the potential quality to be gleaned? In a second round of tests whilst indoors . . . turns out it has quite a fast AF system after all . . .
Generally whilst using the LCD screen for viewing mode as the view finder it would still dither before taking a snap just as before. However! whilst switching to viewfinder only mode for the second time round things started to look up for the 60D, it suddenly became fast unlike how it was previously in tests from 2 nights ago. 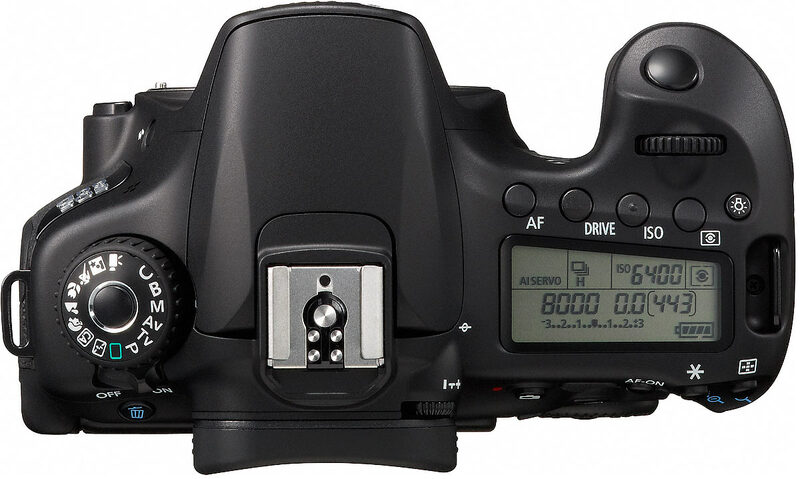 It seems that using the LCD screen to preview and frame up images instead of the viewfinder on the 60D affects Auto Focus performance when shooting still images. Using the regular built in electronic view finder ONLY instead of the LCD screen significantly increase AF speed performance to something that was close to instantaneous in terms of response times. Whilst using the View finder only on the 60D (like how we used to use camera's before they went digital and had LCD screens) significantly speeds up auto focus performance of the 60D although its not possible to use the LCD screen for previewing or framing up whilst using the view finder. So in this sense it doesn't really compare to the NEX-F3, since the NEX-F3 doesn't have a built in electronic viewfinder (EV) and has an LCD screen only. It does kind of look like the 60D has been purposely gimped in not allowing for fast AF whilst using the LCD screen for shooting stills, which does kind of prompt me to mention that this might not be the case for the higher end canon D-SLR models such as the 7D, 6D, 5D Mk3 and 1D/1DX (since I've not tested them first hand). The first thing it brings to mind from an external design standpoint is the animated Japanese animie series of Gundam (especially with the flash raised, which also seems to make quite a sotchy quick hydrolic motor sound as it pops up). It's just the way in which they'd carefully put the drawing board lines and curves together over the body which translated well into a physical object for taking pictures with, even more so with its distinctive gundam like brow. Although the outer construction is all plastic the overal feel of it comes across as highly/very robust and durable. But even with the all plastic outer shell the 60D is still quite a weighty beast by all comparison with myself only having mainly used a relatively light weight mirror-less compact system thus far beyond an old 35mm EOS many moons ago. In fact the 60D feels vastly heavier than it's 35mm film roll predecessors too, and I'm talking camera body only even before getting to the the added weight of the 17-85mm IS USM kit lens, it certainly doesn't need any more weight then it has already from a body only standpoint. The weight of the body will no doubt bring a nice counter balance to many of the lenses that can be used with this body, but I still couldn't help but think it was still a little excessive as I can't quite figure out if this was done just for the sake of making it feel like a premium product based on peoples preconceived expectations or if it was a necessity based on the actual hardware components it carried. But either way I reckon you could inflict some serious damage if you were to use it as some kind of offensive blunt instrument being swung around in a carrier bag instead of what it was intended for (and as alway, NOT that you would want to use it as an offensive weapon). At the time, regardless of whether I was using the view finder or LCD screen, the 60D seems to dither a lot before actually taking the snap even in broad daylight (the sunny broad daylight conditions should have improved AF performance on the Canon 60D, but it didn't seem to improve a single thing unlike the NEX-F3 AF system which gets even faster than it already is indoors whilst under such sunny conditions, also keep in mind that this will also be true of the NEX-3n, 5n,5R, 6, and 7 too and not just on the F3). 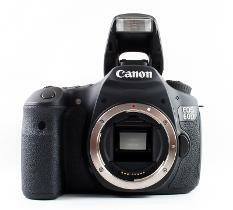 Using the 60D in viewfinder mode without LCD should have also increased AF speed (but initially didn't). In a sense this was sort of ok if you're only shooting stationary objects with the 60D, but this did cause it to fail in a drive by camera snapper test on some achitectural structures, by the time the 60D's AF system figured out what your intended subject was and was ready to shoot, the subject/building had already passed. Bumping up the ISO setting to 400, 800, 1600 and 3200 to try and compensate for poor lighting (as I'd sometimes do on the NEX camera to make it faster) didn't seem to improve the AF speed one single bit on the 60D despite still knocking out pin sharp pictures regardless of whether I was shooting stationary objects or passing buildings in a car (this was already ontop of the cloudless bight and sunny day). Sure the results were pin sharp, but generally it was a little pointless without the test subject within the picture frame. Don't forget this was an AF/auto focus test, but focusing manually would have been much quicker if not necessarily being quite as accurate to begin with in lacking the practice of doing it manually. Again as a comparison the NEX-F3 was able to get an almost instant AF lock, albeit that that this time in this particular instance the pictures weren't the most inspiring of test subjects images based on what I'd used the Sony NEX-F3 with AF for in past as far as drive by architectural photography was concerned. Maybe there's some hidden modes on the 60D to get round this that I've maybe not discovered yet. After figuring this out it was pretty much all gravy with this camera as far as still images using AF were concerned. The canon 60D in combination with the 17-85 mm IS USM kit lens produces sharp, silky smooth images straight out of the blocks without a doubt. Most of the time it was like the images were already optimally tweaked to near perfection RAW images files, but obviously all done in the instant that pictures are taken. 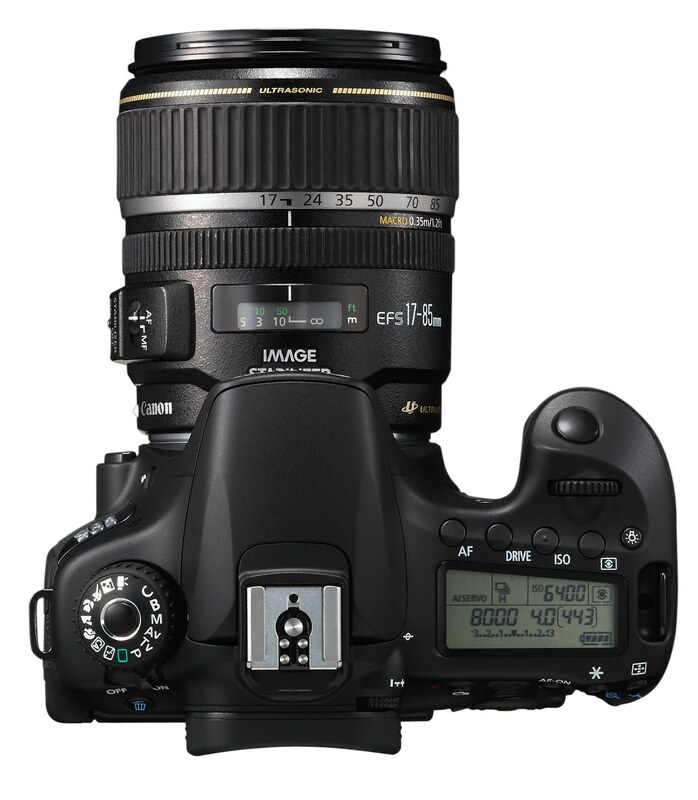 In combination with the 17-85 mm IS USM lens it was hard to dispute the general excellent crisp image quality this Canon D-SLR kit produced. But yet there was still additional slider setting within that menu settings to very effectively tweak the sharpness of images even further (amidst other essential settings such as contrast, saturation etc) prior to even taking the pictures. I certainly wouldn't say no if someone were to hand me a 60D to have, but if I were going to part with cash in order to go this big on a full bodied D-SLR I'd personally aim for for something like the 5D Mk3 in order to truly justify the additional weight, bulk and to gain a greater significant performance margin with additional features, (possibly even the 7D if I were going to stick with the APS-C standard). Generally mirrorless APS-C sensored camera's from the sony stable have proven their worthiness as a realistic alternative to many full bodied APS-C D-SLR that's vastly more compact and just as capable of producing the same kinds of image quality (if not better in some cases) than current APS-C DSLR's as is the case with Sony's higher end APS-C models of the NEX-6 and NEX-7. 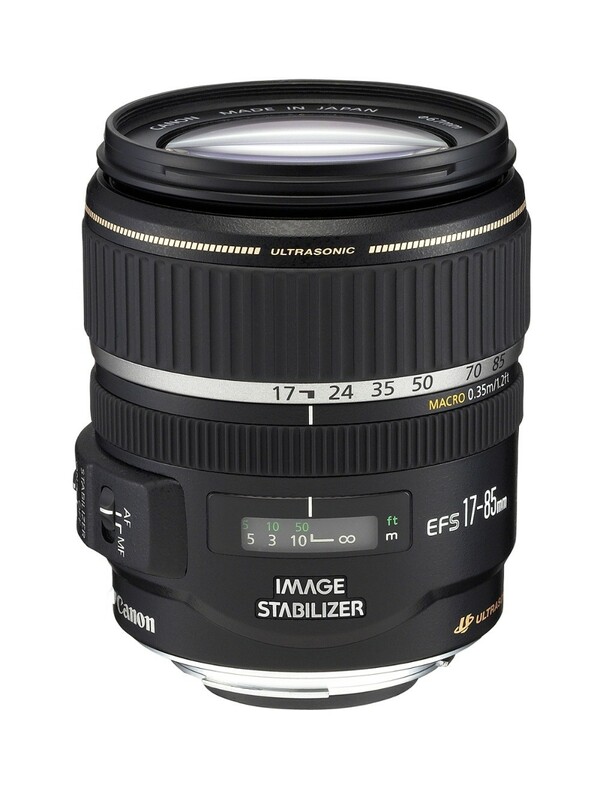 But having said that the 60D with the 17-85 mm IS USM lens does beat the NEX-F3 with 18-55 mm OSS lens by a long shot for out of the box image quality for sure thanks to the lens optics, which does make me wonder if using the NEX-F3 with the canon's 17-85mm IS USM lens via an adapter would alter the image quality balance a little. 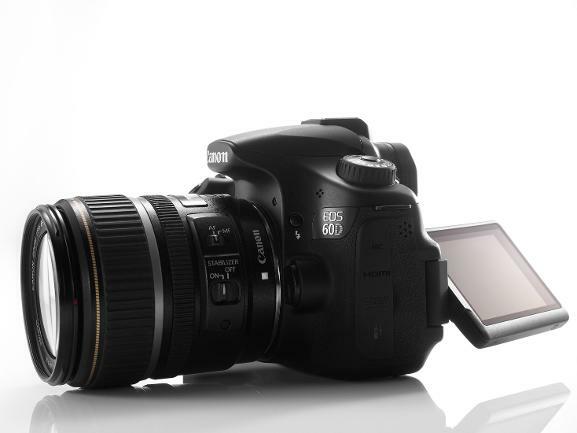 If you've got the budget for a full sized DSLR seated within Canons mid range of professional and enthusiast bracket, the 60D is worth a look. There's no disputing the 60D's ability to produce sharp and crisp images that seem to visually "pop" straight out of the blocks in comparison to certain mirror-less alternatives. Videographers/cinematographers will also find lots to work with here for certain. But if APS-C based still image capture is your main reason for buying it also might be worth investigating other upper end mirror-less alternatives too that are just as capable (some even more so) if you're looking to lighten your carrying gear load.